It may be cold outside, but that never stops you from getting outdoors. 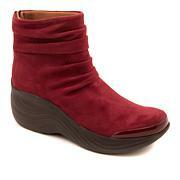 Take that walk or hike in comfort wearing a warm yet incredibly lightweight boot. 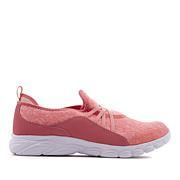 The sporty design captures the utilitarian trend with a quilted, water-repellant upper, toe and heel bumpers for durability, a speed lacing system for ease, and a flexible treaded sole for traction. 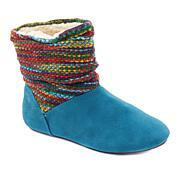 Inside are comfort features to keep feet cushioned and supported in the usual Cheeks fashion. Not only are they comfortable, they are beautiful and you can wear them anytime. I wear mine to the doctor, movies, park everywhere!!!!! Second Pair. Excited, hearing in head boots are made for hiking. 18 mos later, now recovered from foot injury. Just in time to hike my hills field of poppies and blooms. Perfect for my left little toe that now has a mind of its own. Managed to get 8K steps on hike without discomfort. These will work well when the Country desert heat arrives and the colorful golden poppies and lavender blooms are dormant and the shades of brown are back.Confident boots will work in the hot hot hikes. I ordered these because I love the shorter ones from last year so much. I wanted another pair of the short ones, but unavailable so I purchased these in olive. They are very comfortable. They are so comfortable and keep your feet warm and dry. Glad I had them this winter when we got snow. 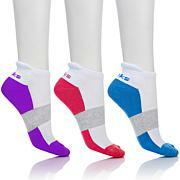 I ordered one size up so I could wear thicker socks comfortably I also loved the wide width option. Get motivated and have fun with America’s Personal Trainer Tony Little’s enthusiastic approach to fitness, exercise and life. Tony’s line of low-impact exercise equipment and instructional videos that provide an interactive atmosphere in the comfort of your own home demonstrate his one-on-one approach to fitness. Going even further, Tony brings you a delicious array of high-protein foods that perfectly complement your active lifestyle. When it’s time to unwind, his extensive line of personal care and wellness items help you relax the day away. Remind me about Tony Little upcoming shows. Repel wintery weather! These lace-up boots keep you warm, dry and stylishly snug with Baretraps Stay Dry System. Plus, the sweater knit collar and optional foldover faux fur cuff look super cute with leggings, tights and skirts.